The Capitol Hill Art League invites artists to express what Our World means to you. This exhibit is open to 2D and 3D work, juried by curator and writer, Eric Hope. April 22nd is the anniversary of the modern-day environmental movement. What better time to honor our world. We and the world around us is in a constant state of flux, influenced by climate, inhabitants, events, time, and gravity. 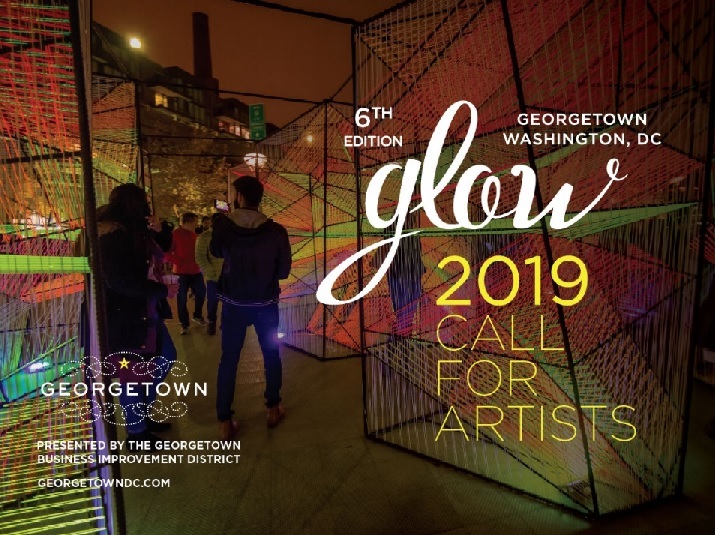 Artists 18 years of age or older residing in the Washington, DC metropolitan area are eligible to enter. All work must be original and signed by the artist. Any work previously shown at a Capitol Hill Art League juried exhibit is ineligible. All work must have been created within the last three years. Juror: Eric Hope, curator and writer based in Washington, DC, gained a passion for contemporary art through volunteer marketing work at the Hirshhorn Museum and Sculpture Garden and The Phillips Collection. In 2009, after over a decade of work at large institutions, he moved into the realm of curation, staging a variety of solo and group exhibitions at the Evolve Urban Arts Project in the H Street neighborhood of DC. He is currently a senior Contributor at East City Art, where he has extensively critiqued exhibitions throughout the metro region for the past seven years. Cash awards will include Best in Show, Merit, and two Honorable Mentions. All awards will be presented at the opening reception and judge’s talk on April 21, from 5:00 – 7:00 PM with the juror presenting his remarks at 6 PM. Capitol Hill Art League (CHAL), a visual arts program of Capitol Hill Arts Workshop (CHAW), produces and promotes exhibits throughout the year. Artists and members from the DC-metro area exhibit and sell their work at CHAW and various venues in the DC region. Member artists may exhibit in any 2D or 3D they choose. For more information, contact chalartists@google.com. Halcyon announces a call for artists for the Halcyon Arts Lab Fellowship, a nine-month program established to provide emerging artists with time and space to explore new ideas and ambitious projects in an environment of independent learning, study, and collaboration. The Halcyon Arts Lab Fellowship is designed to provide support and resources to emerging artists who desire to develop projects (at any stage) that promote meaningful social impact. It is for those who wish to follow the path of leadership in the field of socially-engaged art. Halcyon accepts six national or international fellows and two DC-resident fellows in each year of the program. Fellowship dates: October 1, 2017 – June 30, 2018. Opportunities to collaborate with fellow artists, social entrepreneurs, and our program partner organizations in Washington, DC. Halcyon seeks and celebrates creativity in all forms. They galvanize creative individuals aspiring to promote social good. 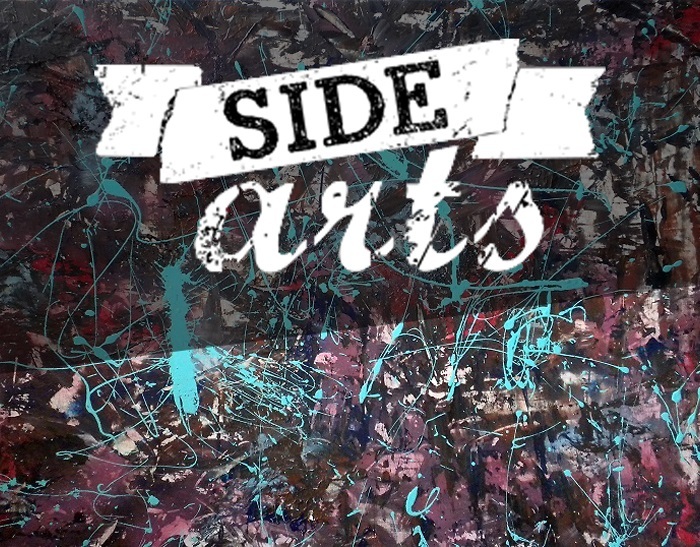 They bring together diverse groups of change-makers in art and social enterprise and provide a safe haven for their bold ideas to take flight. Halcyon offers an ecosystem of advocacy that encourages socially engaged creatives to freely experiment, sometimes fail, learn, and advance their talents and visions. In doing so, they foster new pathways to knowledge and resources and help innovators transform their inspiration into impact. For more information, contact arts@halcyonhouse.org. Anacostia Arts Center seeks proposals for unique arts projects to inhabit one of its 500 sq ft galleries for the Immersion artist residency program. This project is aimed at individual artists or groups of artists whom enjoy the challenge creating site-specific installations and who need time and space to create and share their work. The Immersion Artist Residency asks artists to create an installation experience and/or environment where they actively create work. The exhibition should inspire visitors to come back to see an evolution or make a new discovery. The objectives of the program are to offer residents and visitors a high-quality and engaging artistic experience and to allow artists an opportunity to further their practice through experimentation. Each exhibition will take place over 8-10 weeks, including installation and de-installation. Selected artists will receive an honorarium of $3,500 to include project expenses and their time spent in the gallery. Exhibitions must take place between July and December 2016. Work in the gallery a minimum of 16 hrs/week during the highest traffic days of Thursday – Saturday, 10 am – 7 pm. Attend an opening reception and hold an artist talk. Make a short weekly report of activities, interesting encounters, and the evolution of the work. Anacostia Arts Center is a multi-use space that includes galleries, a Black Box Theater, and resident business including a cafe, clothing boutiques, massage and physical therapy, and artist reading room. Our mission is to creating a home for small businesses, artists, and arts and cultural organizations to fulfill our commitment to the revitalization and sustainable economic development of Historic Anacostia neighborhood in Washington DC. For more information, contact kdavis@archdc.org. Sitar Arts Center presents a call for artists for the 6th Annual Patricia Sitar Arts Expo Juried Exhibition. The exhibition will allow the artist the opportunity to challenge their creativity by using paper as the main subject and concept of the piece. Works With Paper submissions must show the manipulation of paper in some form to change the identity or use of the paper to represent your concept or idea. Manipulation of paper can include, but not limited to, construction, collage, cutting, folding, binding, etc. Work must have been created within the last five years. Work must be created by the artist stated on the work. Images must be appropriate for school-aged children. Other mediums accepted within the main use of paper are photograph, painting, mixed media, drawing, digital art. No video, film, installation or performance art. The works will be judged on aesthetic quality, craftsmanship, composition and relation to theme. All works on exhibit will be eligible for the final jury. Work will be judged on a point based system by jurors. Final jury will be in two categories: Category type is determined by age of participant when work is submitted. Sitar Arts Center offers affordable multidisciplinary arts education in a nurturing environment to the city’s youth who otherwise wouldn’t have access to these opportunities. The Cafritz Gallery gives our students the opportunity to learn how to showcase their accomplishments and grow as artists, as well as learn about the process of creating, to the hanging and selling of artwork. The gallery series was created to educate the Sitar Arts Center community about the visual arts, how to view and talk about art work and to give young and emerging artists the opportunity to exhibit professionally. The Cafritz Gallery is an intimate space which can exhibit up to 30 pieces of varying sizes. Selling art work is encouraged and welcomed, however it is not the mission of the gallery. For more information, contact lorenna@sitarartscenter.org. The Joan Hisaoka Healing Arts Gallery is hosting a juried art exhibition in conjunction with Busboys and Poets titled: Implicit Bias – Seeing the Other: Seeing One Self. The exhibition will explore the unconscious racial bias that affects our decisions, choices, friends, and beliefs about others. This show will be a powerful depiction of the injustice being portrayed in our country. Founded in 2008, the Joan Hisaoka Healing Arts Gallery at Smith Center for Healing and the Arts is a nonprofit arts space in Washington, DC dedicated to exhibiting fine art that explores the innate connection between healing and creativity. The gallery is founded on the core principles that art has the ability to mend social, psychological, and physical ills by building community, inspiring change, and celebrating life. A rotating exhibition schedule features contemporary, international and national artists addressing a diversity of themes, such as spirituality, social change, multiculturalism, health, environmentalism, and community. For more information, contact gallerydirector@smithcenter.org. Perspective: Fresh Look at Contemporary Painting and Drawing is a juried exhibition that examines contemporary painting and drawing. This exhibition is open to all artists living locally and nationally. Hillyer Art Space is one of the leading contemporary galleries in Washington, DC; we have over 10,000 visitors annually and our openings see between 350-500 people during Dupont Circle’s First Friday Gallery Walk. Hillyer Art Space is a contemporary gallery dedicated to serving the public with quality exhibitions and programming. Established in April 2006, Hillyer is a program of International Arts & Artists (IA&A), a non-profit organization dedicated to increasing cross-cultural understanding and exposure to the arts internationally. IA&A’s services include a Traveling Exhibition Service, the Hillyer Art Space gallery, a Design Studio, Cultural Exchange Programs, and Membership Services for artists, cultural institutions and the arts-interested public. For more information, contact gallery@hillyerartspace.org.